August finds most of us battling the heat – but I’m not one to complain. Us Brits seem to moan about the weather all the time – it’s either too cold/wet/windy/cloudy – or it’s just too hot. Granted, it could be a few degrees lower to enable a few more chores to get completed, but this month I'm in Germany’s Black Forest battling temperatures in the late 30s, so the early 30s back at home seems like a welcome relief. 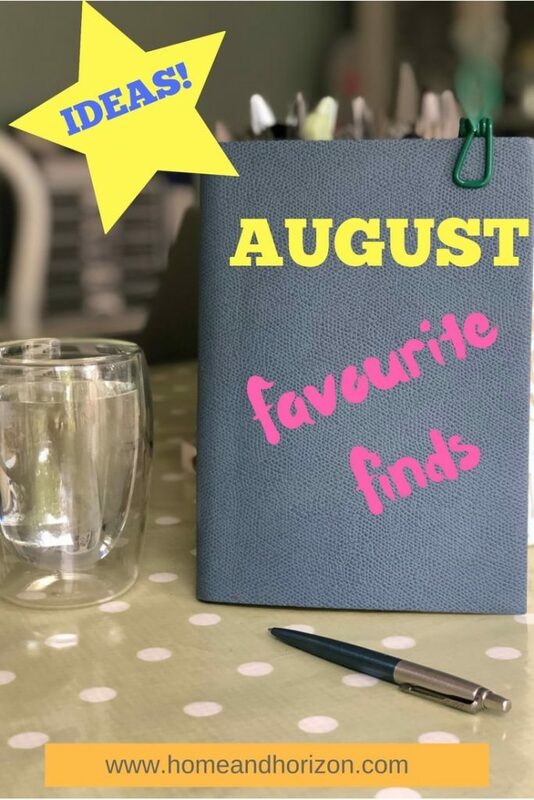 Not for everyone though, which brings me nicely on to the first of my August Favourite Finds…. With four bunnies now in our household and the unusual hot weather we’ve experienced lately, I’ve been grasping at straws when it comes to keeping the rabbits cool. I’ve used ice packs, ceramic tiles and milk cartons filled with ice and water, but I’ve just discovered that Pet Cooling Gel Mats exist – and right now, Wowcher is offering them from £4.99 (RRP £12!) until 27th August. What a revelation these are! And then I found out that my mum had discovered them too – and had bought a couple for my rabbits. Great minds think alike! And if you miss the deal, there’s always Amazon – here’s one for £7.59. 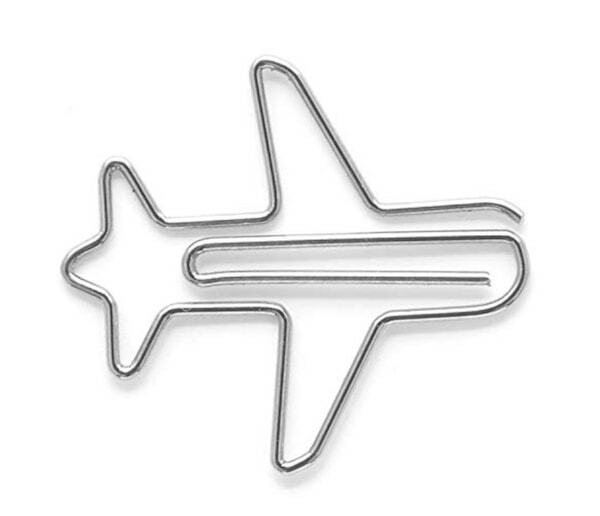 A travel PR recently sent me some brochures and information and when it arrived I opened it to find a really cute paperclip holding all the information together – in the shape of an aeroplane! I hadn’t seen anything like it before, but I liked what I saw, so I went on the hunt to see if I could find something similar – and I did! This 30 pack of Midori Airplane Shaped Paper Clips costs £5.63 with free delivery. In fact, turns out that there’s all sorts of uniquely-shaped paperclips out there – from elephants and cars to bikes and four-leaf clovers! Have a look – they make a great gift for stationery lovers! With summer here, what better time to enjoy a holiday than switching off and doing a bit of reading. Trouble for me is that I read for a living, so I tend to prefer women’s mags that I can dip in-dip-out of. I probably spend around £10 a month on magazines – from TV and gossip magazines to my favourite interior mags. So when I was offered a trial of Readly, which allows you to read all your favourite magazines in one app online or offline (and share access with up to 4 other family members), I thought it sounded like a plan. I’ve been using it for a few weeks now and I’m a massive fan; I can dip in and dip out as many mags as I like; there are no huge piles of hard copy mags to tidy up and it costs a lot less than I’d spend in the shops – a win-win! I was really chuffed to see that one of my fave mags, Style At Home, was on there and after a few minutes flicking through their vast library, I had chosen the mags I liked and saved them under ‘Favourites’ so that I could easily access them. In fact, once I downloaded them I spent about two hours chilling out reading about all sorts. I learned that bright eye makeup is in, that one day Zoella wants kids and that one of my fave comedians, Romesh Ranganathan’s new show is on Wednesday night on Dave! 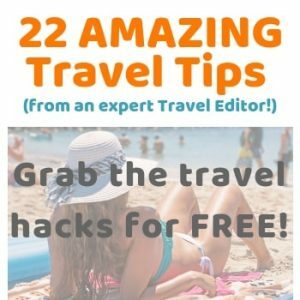 There’s a 14-day FREE trial which is a great idea because if you’re going away on your hols and fancy dipping in and out of lots of different mags while away, it gives you the chance to try it out. As I write this, I’m sitting in an apartment in Freiburg (south-west Germany) enjoying a family holiday with the kids and VIP. We’ve just spent two days at Europa Park (which was epic!) and we’re now taking it easy with daily outings in the Black Forest. I say ‘taking it easy’ – the temperature here is in the 30s, which makes for some uncomfortable sweating! Now there’s an idea for a blog post – how to keep cool if you’re travelling to a hot destination! However, I would never have thought that I’d be recommending the Black Forest as an ideal family holiday destination, but there really is something for everyone. Naturally, I’ll be writing up my findings – including what rides to go on in Europa Park if you’re adrenaline junkies, what I really thought of Freiburg Appartements AND what to do and see if you’re in this part of the world – watch this space! 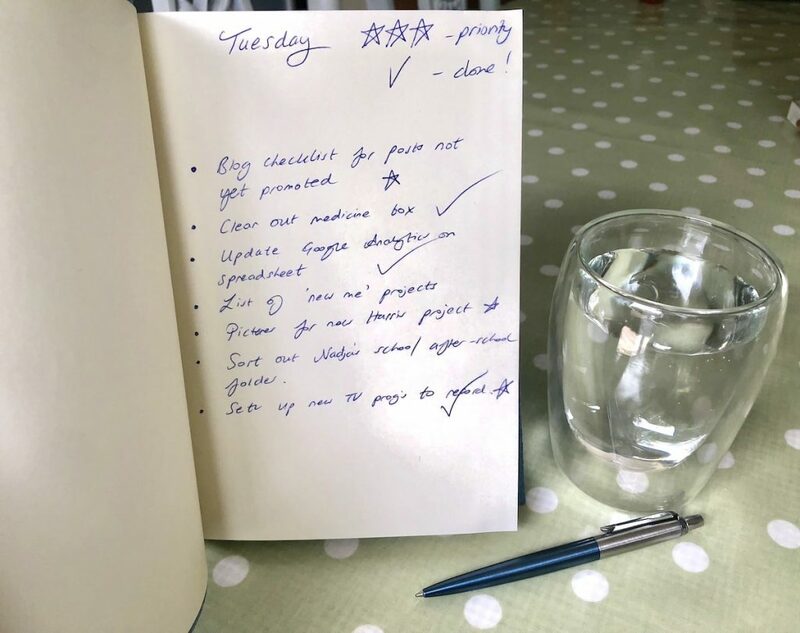 You may have read in my July Blog and Income Report that my day job totally took over in July and I struggled to keep up. As the weeks went on my desk started to pile up and, well, things were in a bit of disarray you could say. It has only been recently that I’ve started to get back on top of things, but it took a gorgeous journal to give me the incentive I needed to get my act together. It came from a company called Pen Heaven, which offers a vast array of stationery. And who doesn’t love stationary?! Especially stationery for grown-ups – you know, sophisticated and expensive looking. So I got my mitts of a ‘Palmi Large Grained Leather Journal’, which costs £19.50. It’s available in eight different colours and can be ordered embossed with initials. 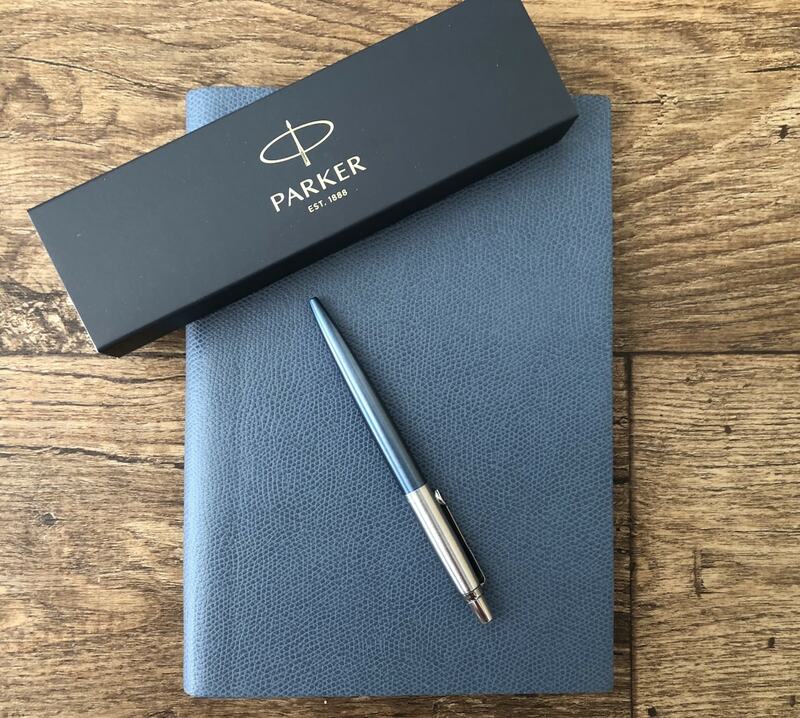 And my Parker pen (which matches the journal colour perfectly), is a pleasure to write with. Makes me wish I was writing this rather than typing it! Anyway, the good news is that if you’re quick (before the end of August! ), you also have the chance to win the set for yourself. That about wraps up my Favourite Finds for August. I still can’t believe we’re in August already; before we know it, the kids will be back at school and the days will be drawing in – booooo! Thanks Su – lots for the kids to do in the Black Forest too. I love stationery full stop! Those paperclips definitely need to be added to my collection. The pens and journal may have to be on my next shopping list too. Those paper clips are so dinky! 🙂 I’ve enjoyed holidaying in the Black Forest – unfortunately the year I went it was a pretty wet and cool August! Still loved it though. My son was in Freiburg in July too this year on his German school trip … he loved Europa Park! The visit to Trier and the Rhine cruise paled into insignificance! LOL! We went right at the end of July/beginning of August and it couldn’t have been hotter or drier there – in fact, it was too hot in our apartment! Great to hear your son enjoyed Freiburg – it’s great his school takes them to great places like Europa Park too! I love the app that allow you to read online. It makes it so much easier than travelling with books. It is also better for the environment (really important for me). 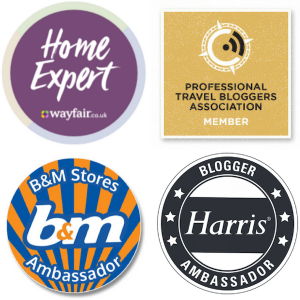 There are some great finds out there – love discovering new services & products, plus personal recommendations. Those are some really cool looking paperclips! Love the selection you’ve picked this month! That’s true – and so much more personalised. I agree with a couple of the other comments that I wish they did pet cooling mats for humans, haha! I’m definitely not one for the heat – it’s so comfortable and I hate having to put sun scream on every day. So annoying! I’m much happier that it’s coming into autumn so I can get my jumpers back out! I’m sure autumn will be here before we know it. I can already feel the temperature has dropped – and we’ve now had a few rainy days….well, down south anyway! I had no idea cooling mats existed, I’ve been using frozen bottles of water to cool my bunnies down 🙂 I love those paper clips. They’re so cute! It’s great to find quick and easy solutions to every day problems isn’t it? Glad that you’ve now discovered something new! Sounds exactly like mine! Mind you, the weather has cooled down a bit now so the bunnies aren’t so hot and bothered! Oh man, I have been struggling to keep my two bunnies cool in this heat too. We’ve done it all: ice blocks, cool, wet towels, frozen bottles of water, fans etc. Definitely should invest in some cool mats for next year. They’re a great idea – can’t believe I didn’t discover them before. Ooh, I love a good writing pen – they are hard to come by! Also, novelty shaped paper clips are LIFE! haha! The paperclips are my new obsession I think – I’ve spent ages searching for unique shapes! If you come across any good ones yourself, let me know! I love the pen and journal. I have a similar pen and journal from the brand. Love them. They’re lovely aren’t they? I’m enjoying using mine – was looking at their rose gold accessories too which are very lust-worthy. Ooh that journal looks amazing! And I love the pen too! You can’t beat a Parker! I could do with a pet cooling mat at this time of year! The pet cooling mats are so cool, definitely something I’d be buying if I had a pet. I bought some cooling pads for my pillows and I’m a big fan of those! Yes, they do cooling pillows as well don’t they?! Great for summer but I always feel the cold so I wouldn’t want them in my bed. oh i love the look of that journal and those paperclips are too cute! Pet cooling mats – what a brilliant idea. Do they do them for us humans too?